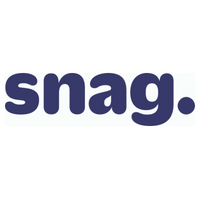 ARLINGTON, Va., July 20, 2018 — Snag, the largest platform for hourly work, today announced the appointment of Board Member and former Upwork CEO Fabio Rosati, as the company’s Chairman and CEO. Rosati was CEO of Elance, which later became Upwork, from 2001 to 2015. Under his leadership, Upwork became the world’s largest gig economy platform for skilled work with 14 million users in 180 countries and more than $1 billion in annual billings.